Comprising of 120 registered members (all women) the Kabenkaffo was set up by Saffie Jammeh, Nyima Demba and Mammy Ndow in 2014. Based in Essau in the Lower Niumi area on the North Bank Division the group is made up of many different people regardless of tribe, religion or ability – 75% of the group is illiterate but this does not stop their participation. With revenue raised through their gardening, sewing and soap making activities the group support the less fortunate in the Lower Niumi area despite having very little themselves. 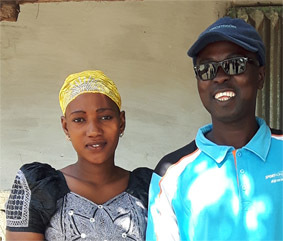 Co-ordinated by Pa Ebrima his wife Saffie Jammeh and Nyima Demba run informal adult literacy classes to teach the illiterate members of the group numbers. Similar to the children of The Gambia women are always eager to get an education too despite their age and as well as being responsible for their own education the responsibility of their children's education is theirs too. Siiboo wants to support the Kabenkaffo and the good work they do by completing the solar power instillation at Bakindik school. Having lights in the school will provide opportunity for formal evening classes to be run teaching literacy as well as life skills such as sewing. 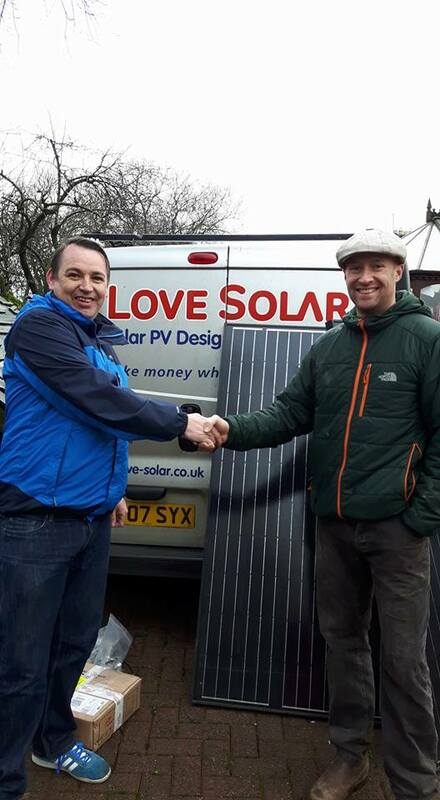 Back in October 2015 Ewen from Love Solar who are based in Penrith Cumbria very kindly donated 2 250w solar pannels along with a charge controller, mounting rails and clamps to Siiboo and we shipped them to The Gambia in March 2016, they were delivered to Bakindik school on 1st April 2016. Regretably we didn't have the finaces available to purchase the batteries, switches & lights, cabling and an inverter or the finaces to pay a qualified engineer to install the system. However, Siiboo is committed to getting the system installed as soon as possible so the school, the community as well as the Kabenkaffo can benefit from electric in the school for the very first time. We hope to be able to install a 2000w power inverter and although it is considerably more expensive than one that would be suitable to provide the power for small electrical appliances such as a phone charger, radio, TV and to run the lights it provides the opportunity (at a later date) to run heavier electrical appliances such as a pump and/or motor.